No . . . it’s got nothing to do with trees but an intriguing economic phenomenon that I have to admit I’d never come across until I heard it being discussed on a recent radio programme. Also called the “resource curse” or the “curse of oil”, the phrase “Dutch Disease” was first coined in 1977 by The Economist magazine to describe the decline of the manufacturing sector in the Netherlands following the discovery and development of natural gas in 1959. According to a number of economists in the UK, Norway and elsewhere, what happens is that the discovery of a huge natural resource such as North Sea oil and gas creates an economic boom. This boom then leads to a rise in the value of your currency making the exporting of manufactured goods a lot more difficult. In addition, the migration of skilled personnel into the oil/gas industry – or whatever resource exploitation is booming – and away from manufacturing adds to the Dutch Disease effect. So if indeed the UK has Dutch Disease as a result of the North Sea boom, the huge volume of oil and gas revenues that poured into the Treasury over the last few decades should have had a large impact on the value of the pound. In fact, the pound did rise against the dollar from 1977 to 1981 but then fell dramatically to a record low in 1985 which is the period that one might have expected oil and gas production levels to have pushed the pound up. But those revenues had pretty much no noticeable impact on the overall economy because they were just treated as general taxation and, of course, weren’t reinvested in anything. More recently though, the pound has begun falling again over other, deeper economic worries but it’s worth noting that this is happening at the same time as the oil industry is going through a mini boom – again. The other proposition that economists claim leads to Dutch Disease is that, as a country’s manufacturing industry becomes less competitive, this causes investment to be switched into exploiting the resource boom (assuming there is one) and away from manufacturing and indeed other wealth creating activities that would normally grow an economy. If – as with North Sea oil and gas – some resource booms last quite a long time then this can leave economies badly exposed once the resource begins to run out and the boom fades, unless, of course, governments wake up early enough to do something about it. That said, the oil and gas industry itself does include a fairly large manufacturing sector covering a broad spectrum of the value chain. So is this affected by the Dutch Disease? Well, in the UK’s case it doesn’t actually own many of the relevant manufacturers (or even service companies resident in places like Aberdeen) so it does risk their disappearance once the resource boom fades. That presents a potential problem down the line although it’s also fair to say that many of the foreign companies based here are now highly reliant on UK personnel for both management and technical skills. Could they afford to lose them? Then we have what is best termed “manufacturing abandonment”. For example, the UK has all but abandoned manufacturing cars in its own right and either sold the cream of the industry to foreign companies or encouraged them to set up here. They’re all quite happy to do this because they just don’t see the UK as major competitors in this sector anymore. 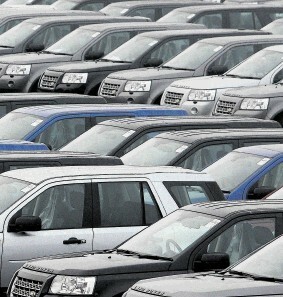 Rather it is a convenient place from which to churn out vehicles for the EU market. As a consequence the UK is now once again a major car manufacturing centre using British skills and knowledge but backed by foreign money. The same applies to many other industrial sectors where we once did well although some, such as non-naval shipbuilding, have been all but abandoned completely. Now was that caused by the Dutch Disease or something else? Nowadays, UK manufacturing is pretty much flatlining. Lack of investment by both the government and the private sector doesn’t help but the main problem is that global demand is still well and truly in the doldrums. Of course, an intelligent, strategically thinking, forward planning sort of government would be using this period to prepare the nation to take advantage of a potential global upturn. Not so here, I’m afraid. In fact, according to a recent OECD report; UK small and medium-sized firms receive the lowest level of government support for R&D funding than any major economy. The study, which is based on spending figures from 2008-9, shows that Britain ranks last for funding support out of all 27 OECD countries. Given what the 2009 Malcolm Wicks report on energy security said about the appalling state of energy-related R&D in the UK I’m sorry to say that the OECD’s findings don’t surprise me one little bit and they provide a warning we should react to but almost certainly won’t. So there you are; a short lesson in an economic phenomenon, which the UK almost certainly hasn’t suffered from, more because of lousy policy making than good judgement. In other words, I’m sure the manufacturing downturn was self-inflicted and deliberate. So not so much Dutch Disease; more a modern version of the British Disease that’s been rotting these islands since the 1920s. What it also tells me though is that we could be doing a lot more manufacturing than we are because the existence of the oil and gas industry is unlikely to make much difference to our general competitiveness. I always like to end on a cheery note!